Rare glimpse inside historic lock Jump to media player An 18th Century lock system with the steepest canal staircase in Britain is being opened to the public. 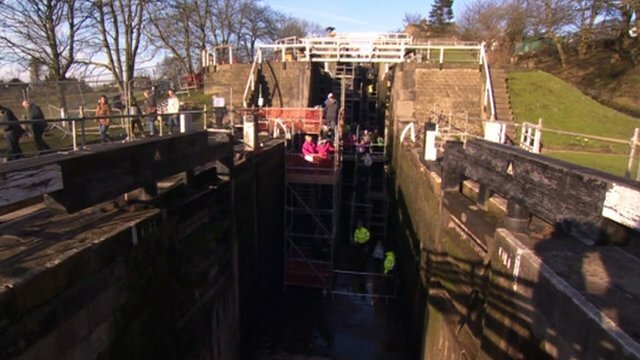 An 18th Century lock system in West Yorkshire is being drained to allow engineers to carry out vital repair work. British Waterways said it expected thousands of people to walk through Bingley's Five Rise Locks this weekend. 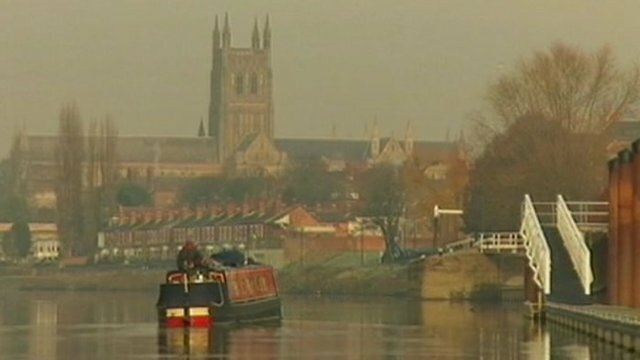 Visitors will get a rare glimpse of the structure, which is normally submerged beneath the water of the Leeds and Liverpool Canal. BBC reporter Nick Ravenscroft speaks to carpenter Russell Clarke who is responsible for putting in the new lock gates.